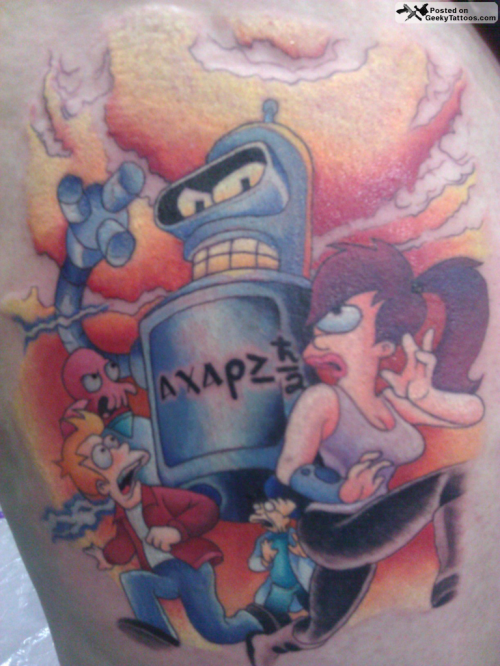 So Futurama is a pretty geeky show, so that bumps up the geek quotient of Paige’s tattoo. But then she told me that she got it at Megacon in Orlando this year. Bump it up another couple of geek points. Oh and to top it off she’s a physics student. Yeah, I think this one qualifies. Ink was done by Michael Bianco. Tagged with Futurama, Michael Bianco.